Ezeio Controller – Standard – AYA Instruments, Inc. 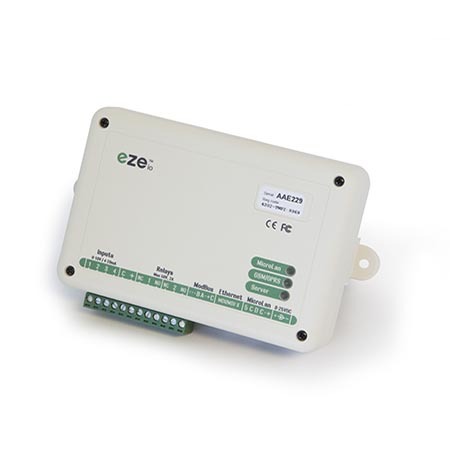 The Ezeio is a secure and simple networked control solution. With general purpose inputs and outputs, ModBUS and Microlan interfaces it can be used for logging, monitoring and control of just about anything. Secure communications, very simple setup and management and a powerful web-based service makes the ezeio one of the most powerful and low-cost solutions available. As soon as the controller is connected to power and an Internet connection, it will start communicating with the eze System servers. There is no need for special software or network setup. The Ezeio connection is encrypted, bidirectional and very efficient. The Ezeio comes complete with a power supply, an Ethernet cable and 4 months of basic service. Additional service is easily purchased via the web interface. Access to the web UI for configuration and live data is free for life. Includes 12VDC power adapter and a 6ft Ethernet cable. The ezeio is designed and manufactured in the US.